What makes both my spots special is that dogs are walked all around me. In Riverside they walk along the path on the top side and bottom side of the hill as well as down or up the hill. In Centennial I would often see dogs walking along the path as well. 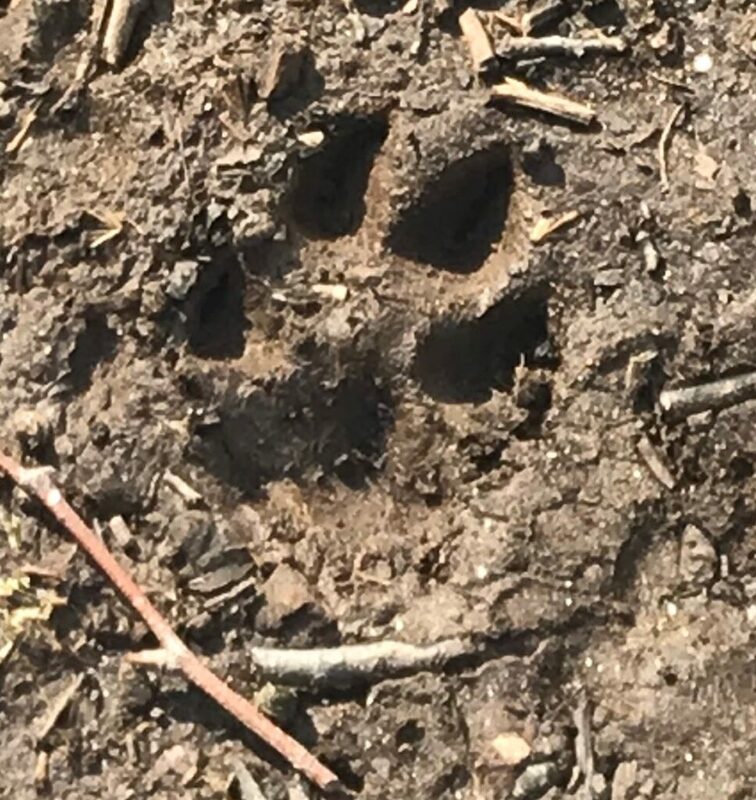 I found a dog print in the mud at Riverside.